I love travel by train in Norway, especially long distance railway where you are guaranteed an overdose of scenic landscapes both under, over, in between and straight through the Norwegian mountain world. 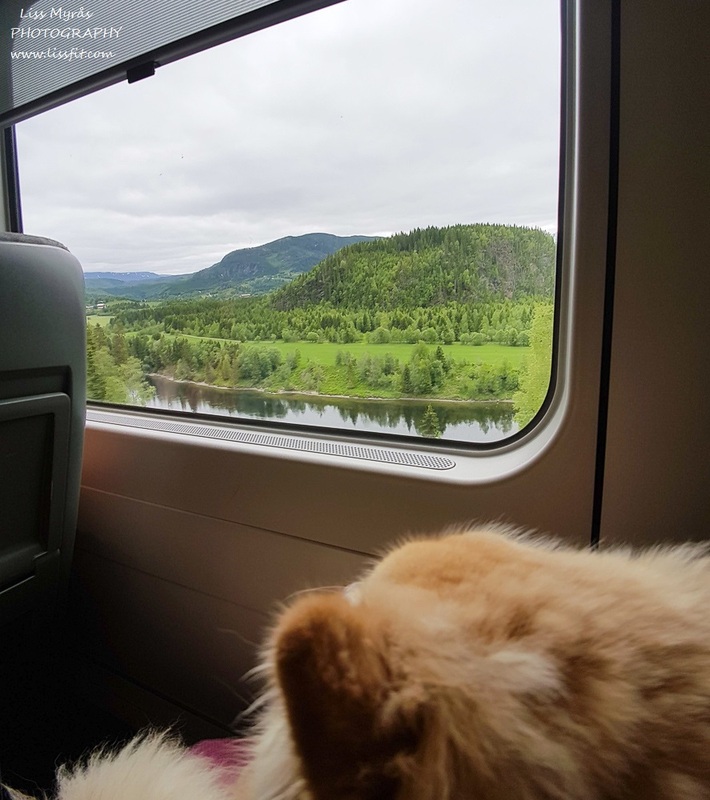 I have often travelled by the beautiful Bergensbanen and Raumabanen, and last summer I finally got the chance to travel both ways with the lengthy Nordlandsbanen (Nordland Railway) together with my dear puppy dog. 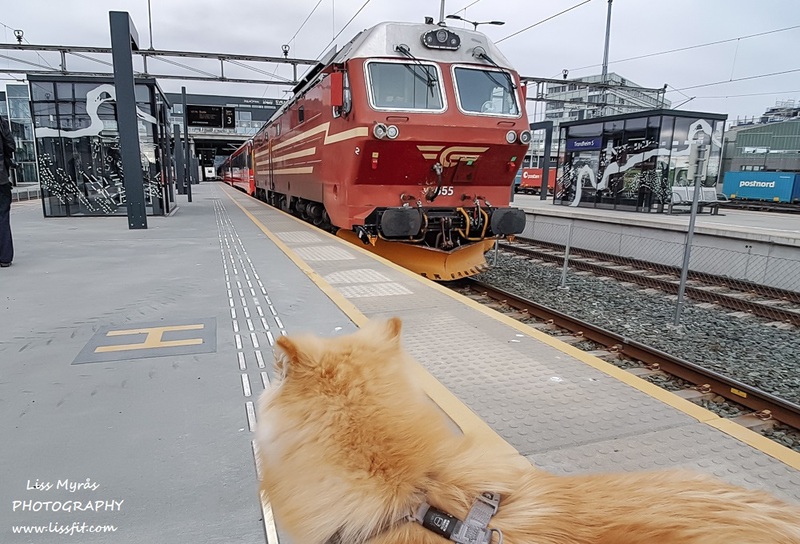 After finishing my work season in Lofoten I and puppy took a rolling and stormy ride with the ferry from Moskenes to Bodø where the night train along Nordlandsbanen was waiting us. 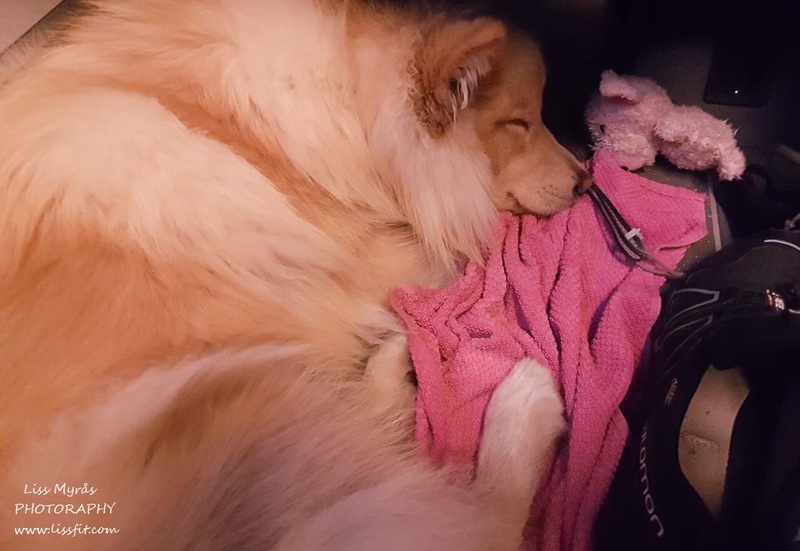 On the night train back I slept in my train chair (the sleepers don’t allow pets) and puppy slept on her plaid on the floor. You can collect a free “sleeping package” from the train’s NSB Kafé which includes a nice fleece blanket, ear plugs and a blindfold – and we both fell asleep for most of that night after passing the Polar circle …again. 10 hours later: Next morning we wake up in Trondheim where a couple of hours with the corresponding morning train to Otta is waiting. 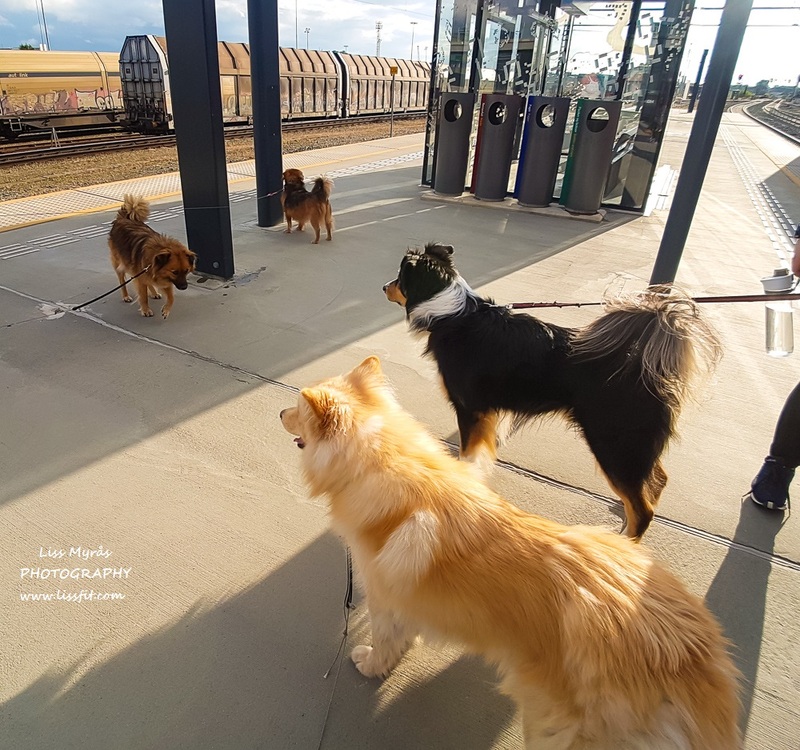 A spontanious dog meeting was on that morning, so very nice to meet other traveling pets and their superfriendly owners. The helpful bus driver took us from Otta station and up the serpentine roads I biked up last year, and this time it was pretty luxurious to just sit there and enjoy the awesome views without any effort.. for once. We got off at Mususæter and breathed in that fresh mountain air. The two last kilometers towards my little paradise me and puppy walked while I rolled my bags and large suitcase on my kickbike (I used it to get to/from work in Lofoten), as small suitcase wheels are simply not made for gravel. I guess we where an odd, colorful and noisy procession along that peaceful mountain road. 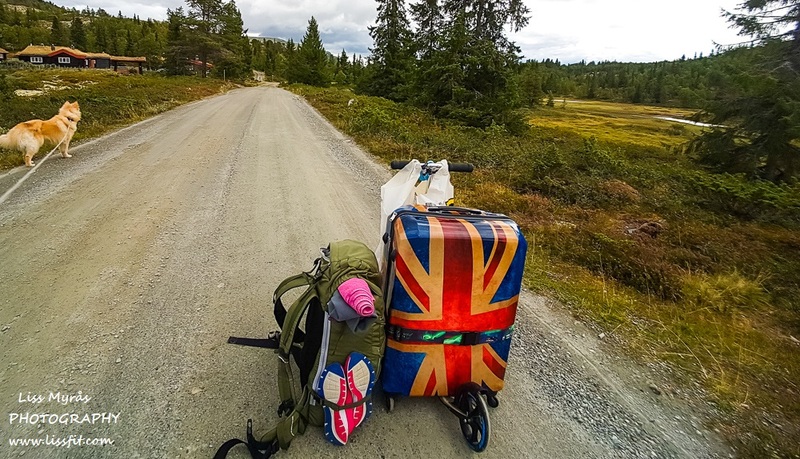 Then finally we arrived to our goal – that very same mountain pasture in Rondane I had last year.. now I was really looking forward to spend 4 nights here, this time together with my happy puppy. 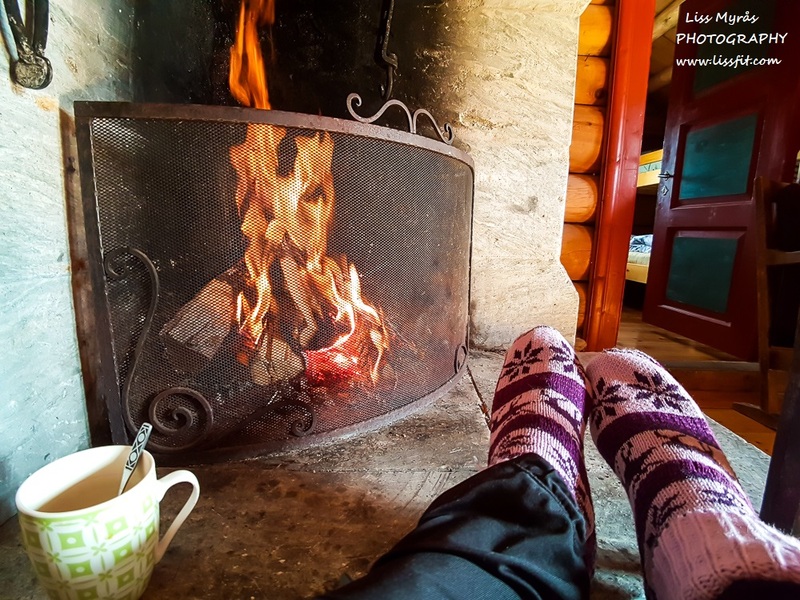 So wonderful to finally be back here, settle down by the fireplace and plan for an absolutely breathtaking mountain climb the very next day!